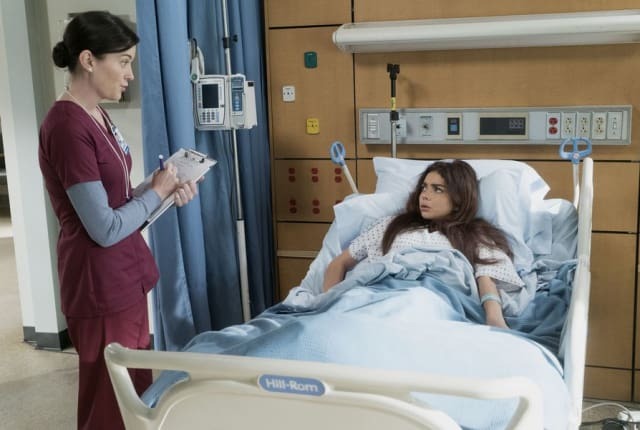 Watch Modern Family Season 9 Episode 21 online via TV Fanatic with over 5 options to watch the Modern Family S9E21 full episode. Affiliates with free and paid streaming include Amazon, iTunes, Vudu, Hulu Plus, and Verizon On Demand. On Modern Family Season 9 Episode 21, Haley meets Arvin’s parents but when things don’t go as planned, fate leads to a reunion with all of her ex-boyfriends. She's not a jukebox, Fonzie! Permalink: She's not a jukebox, Fonzie! Guys, if we don't figure out a way get out of here soon, we're never gonna make it to the escape room.